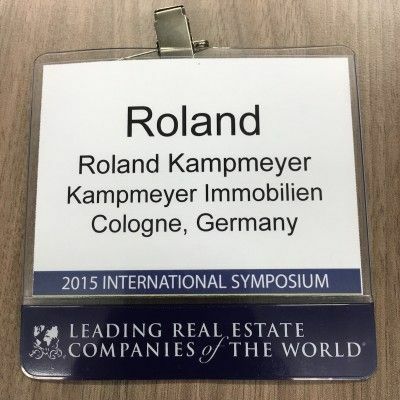 Roland Kampmeyer has been invited to attend the 2015 International Symposium hosted by Leading Real Estate Companies of the World® held October 11-13 in Berlin, Germany. 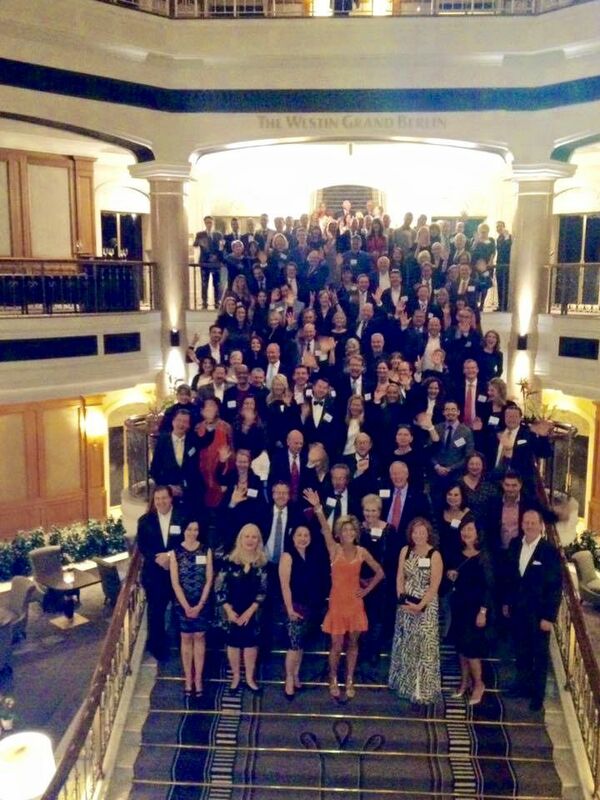 To understand the differences in real estate practices around the world, Kampmeyer along with Ron Stader, CIR Realty, and Andrew Yeandle Strutt & Parker, spoke at The World of Real Estate Part I about how real estate agents interface with their out-of-country clients. 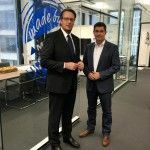 Interview by John Featherston, President and CEO RISMedia, questions and answers of the panel The World of Real Estate Part I with Roland Kampmeyer are shown below. Tell us about the current state of your market. Is it a stronger buyer’s or seller’s market, most active price point, average days on market. You might think the world of real estate in Germany only consists of Berlin, but there are eight other major cities. Cologne is the fourth largest city in Germany with just over 1 million people up to 1.200.000 in 2030. In Cologne as in the other major German cities supply and demand are mismatched: availability of residential property is very limited. The Rhine divides the city into left and right, two different markets: Buyers and investors prefer the left side of the Rhine, which is a sellers market. Newly developed properties are in high demand as well. Requests for renting real estate are mainly for districts close to the city centre. Inquiries for houses are mainly for the left side of the Rhine. Most of the demand from buyers is for the south-west area of Cologne, which is on the left side. If we talk about prices we have to distinguish between new property and resale property: New property sets the price! Currently the price per square meter for new properties it ́s around 4.000 eurosAnd for resale properties around 3.000 euros per square meter. Newly built Houses – which are mostly found in the suburbs – range in price from 4.000 to 5.000 euros per square meter and 2.800 euros per square for resold properties. When talking about average days in the market, it depends on location and quality of the product. The average has been decreasing since 2008. Resale property with in market price are sold in four weeks. Our last completed construction project in the north of Cologne had 3.000 potential buyers. All units were sold within six weeks during the predevelopment phase – we need six month for all the paper work. What types of housing are available, how much new construction factors into your current business, does it compete with existing resale properties? Most of the properties are condos. Houses in the suburbs play a minor role. Very seldom townhouses in the city centre are listed, but they are very rare. We have seen a big growth in newly developed properties: people are moving out of their resale homes into new ones. During World War II, Cologne was completely destroyed, and most of the post-war buildings floor plans have become more and more unattractive. These buildings don’t match people’s desire and lifestyle anymore. Most of the the city buildings are from the sixties and seventies with low ceilings, no elevators and no smart home concept. We need new living concept and designs. Even though the city is densely built there are still properties with potential – for example extending living space in to the attic. I see no competition between newly build and older properties – more a good and healthy opportunity to keep the market moving. Real estate market in Cologne is a very hyper-local market: People from the city, living in the city, buy homes in Cologne to use them by themselves. But motivating factors for buying are more than just the product: schools, culture, infrastructure along with public transportation. Those factors have became more important during the last years. Private non-local buyers move to the city because of their jobs in big companies like the pharmaceutical giant Bayer, chemical global player Laxness, law firms like Freshfields or software enterprises like Adobe, who have big company sites in the area. Cologne is also the main city in Germany for big private broadcasting, tv stations, advertising, media groups and international insurance companies such as talanx or axa. Germanys strong economy and leadership within the European Union are the reasons for foreign investors to come from all around Europe as well as international pension funds and insurance companies. There investment is focus mainly in our very safe renting market. What is your high end market comprised of in terms of product, price point and inventory. High end market hardly exists in Cologne. There is an invisible wall in Cologne at 6.000 euros per square meter. There are few projects with 10.000 euros or more. But then you need really good arguments and a lot of time to close the deal. According to the definition of a global city, Cologne is not on the list but Düsseldorf of the extended circle of global cities. Düsseldorf is only 30 minutes away but is simply more international and has higher property prices. On the other hand Cologne is more family friendly and more colorful – sometimes crazy. Tell us about the state of the industry – do you have an MLS (Multiple Listing Service) what are real estate licensing requirements? We have no Multiple Listing Service in Germany. Many have tried. And many have failed. MLS does not work in Germany. There are very few requirements to become a real estate agent in Germany. You basically need a trade license and no criminal record. Currently there is a bill being discussed to reform and strengthen real estate license requirement and its renewal. It is a first step to regulate and professionalize the business, but in my opinion the changes are not strong enough. Where do you see specific growth areas in your markets (residential/commercial/foreign investment/resorts)? The market in Cologne is mainly residential and is expected to continue growing. Since 2012 purchasing prices have risen faster than the rental average, therefore the rate of return on investment has been decreasing. 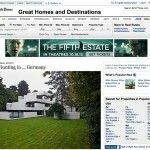 But none of these matters, because real estate in Germany is considered a very safe investment more than any other type of investment. There is no alternative. I also expect foreign investment to increase. Factors like strong currency and economic strength will work in Germanys favor and bring more investors to the country. What are your primary forms of marketing unique to your area. 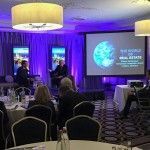 How do you promote your international capabilities to local clients? We try to build up awareness before people have an actual interest in real estate. We create trust prior to the market before people even know what they want and when they want it. Every consumer is a potential client: As well as a buyer of a condo, who wants to sell there current property or the owner, who is looking to rent there property. So we don’t think in classic target groups. We reach people where they are in the market, pre- or even post-market. Our website is the hub for all activities. Annually we release a real estate market report, online-interviews, interactive maps and more data. It’s what identifies us as the local expert in Cologne. We also publish a quarterly magazine with a print of 200.000 units, distributed in the biggest newspaper in cologne and also an online edition of the publication. Whatever we do – digital comes always first. We have many services for customers for online orientation, accessibility and transparency such as: KAMPMEYER Meet-Up, KAMPMEYER Live and Object-Tracking PLUS. KAMPMEYER Meet-Up is our online booking system. Customers can use the online tool to book an appointment, choose the agent they would like to work with – Monday to Sunday, 24/7. KAMPMEYER Live shows customer evaluation, figures and numbers in real time on our website. When a customer logs-in, it shows every activity and work in progress to the client, that’s Objekt-Tracking PLUS. What type of mortgage or financing options are available to foreign investors, and how are property taxes structured. Interest rates are very low in Germany, at the moment they range between 1.5% and 2% on a 10 year loan. 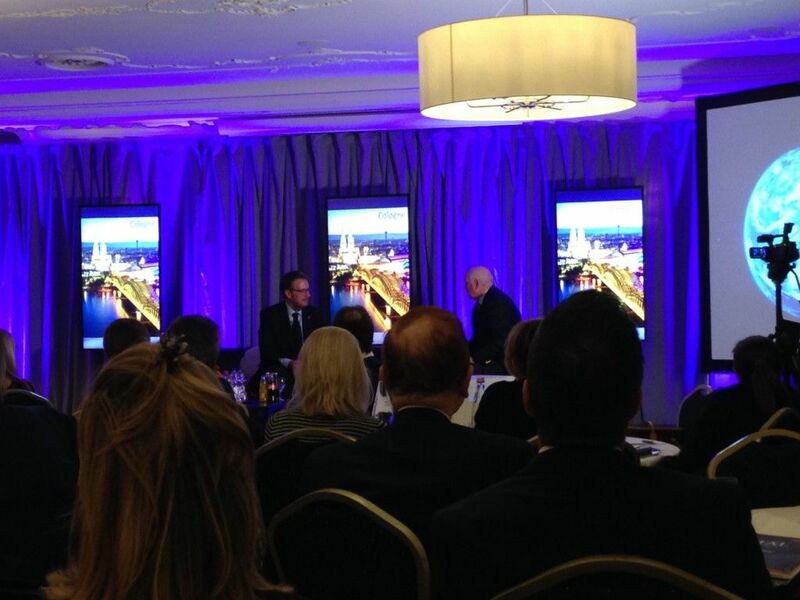 If a foreign investor needs financing for the purchase, it must be done trough any German financial institution. Payment in cash is possible when done legally. Property transfer tax is 6.5% and notary fees and legal expanses are 1.5%. 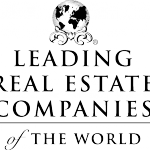 Leading Real Estate Companies of the World® (www.LeadingRE.com) is a by-invitation-only network that encompasses over 500 firms and 120,000 associates in over 50 countries worldwide. Collectively, the group produces over one million transactions valued at over $320 billion annually. The organization provides its affiliates with a robust menu of products and services spanning the areas of lead generation; outcome-based learning for leaders, associates and staff; web technology and systems; and branding and marketing support, including its Luxury Portfolio International® division.